Do you expect your freight delivered on time, undamaged, with clear communication and follow through? So do we. 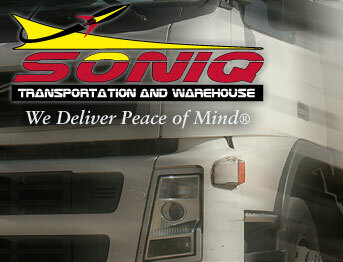 Allow SONIQ Transportation and Warehouse to provide you with dependable and consistent delivery and warehousing service. Discover how SONIQ will satisfy your transportation and warehouse requirements while offering you the freedom to focus your efforts on other important matters. By providing you with excellent service, we will earn your trust while demonstrating your freight is in reliable hands. 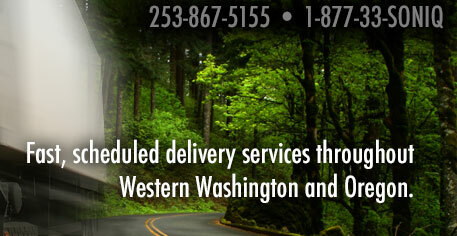 Whether you want to ship small parcels or palletize freight, “We Deliver Peace of Mind”® with our EMERGENCY, HALF DAY, SAME DAY and NEXT DAY DELIVERY SERVICES spanning throughout western Washington and northern Oregon. For added convenience, we provide "One Call" service when you desire both transportation and warehousing according to your schedule. We thank you in advance for giving SONIQ the opportunity to make a positive impression.